Halekai II is a beachfront 4 bedroom, 4 bath home with a wonderful large 20'x40' private pool & gazebo, lounge chairs, and outdoor dining. 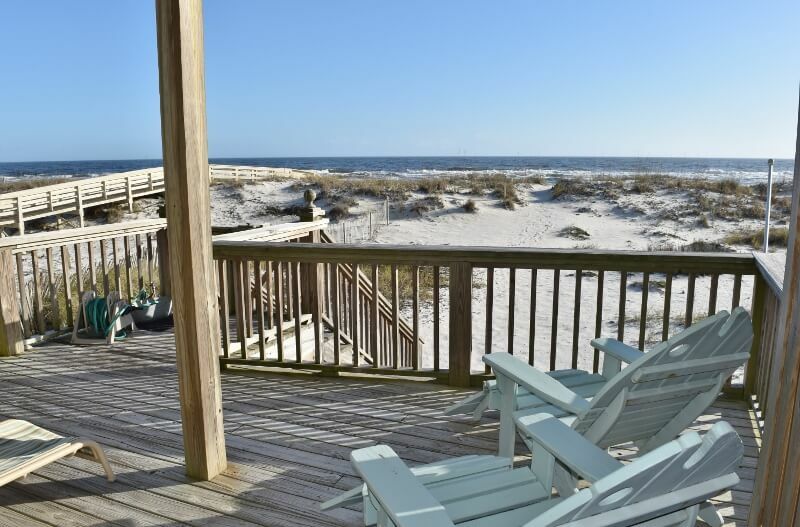 Relax and enjoy two Gulf front decks and take in the amazing sunrise and sunset views. Halekai II, a four-bedroom, four-bath home that sleeps 8 adults and up to 12 including children. It is ideal for family vacation or getaway. 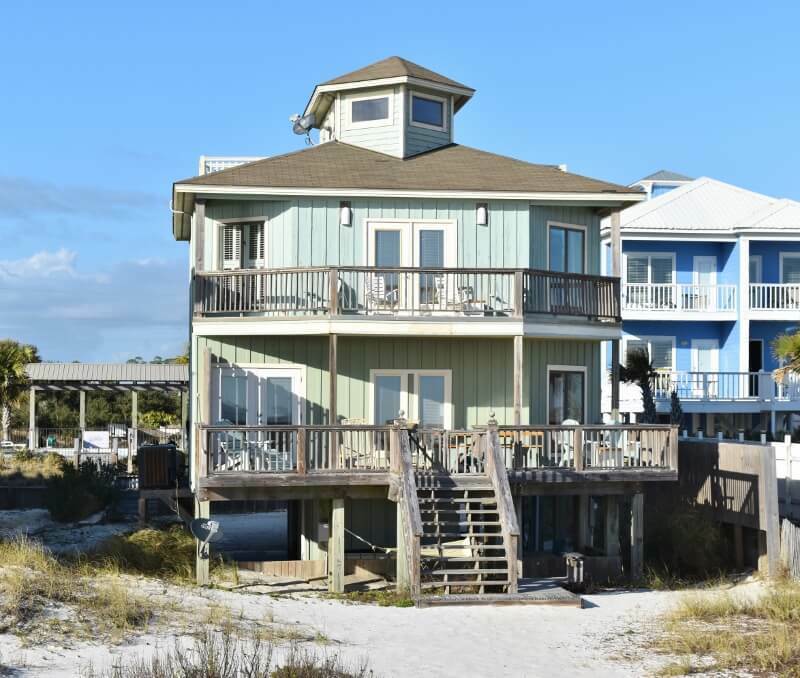 This beachfront property has two large decks overlooking the blue waters and white sands of the Gulf of Mexico. Besides the four bedrooms there are two living rooms for family and friends to gather. 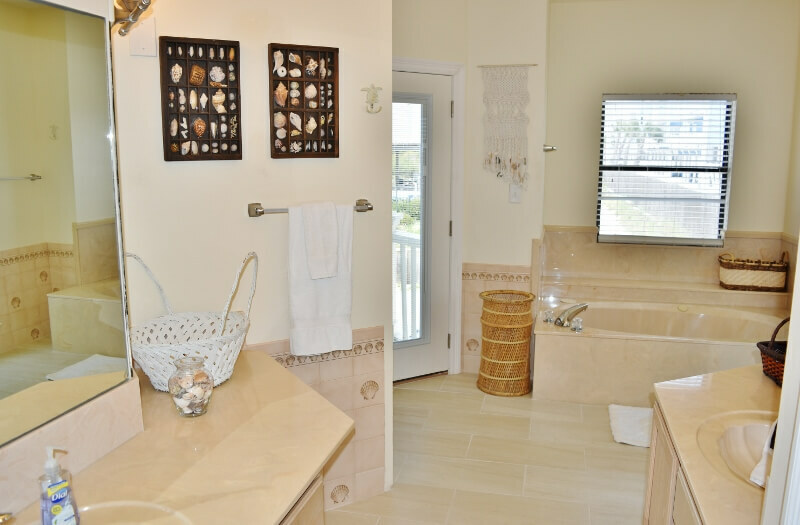 The main floor has a King Beachfront Bedroom with a master bath that includes 2 vanities, a jacuzzi tub and a separate shower. 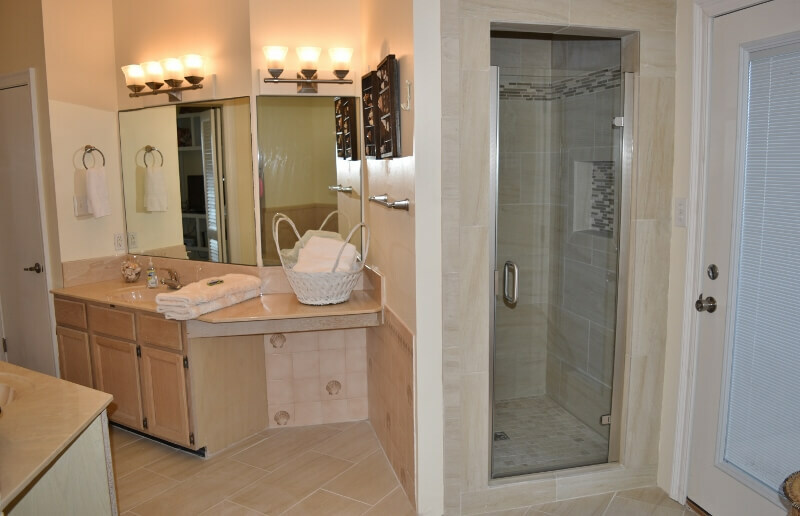 There is a second full bath on this level with an oversized shower. 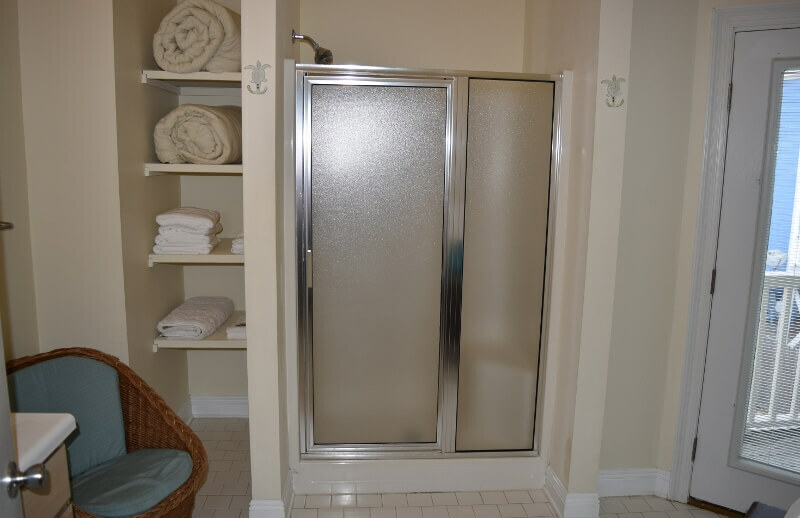 It is perfect for showering all of the children and throwing all of their bathing suits right into the frontload washer. The 2nd Floor has 3 bedrooms, each with Queen Size Beds, and two Queen futons in Family Room. One of the queen bedrooms has a private bath. The others share the hall bath. At the very peak of the house, the crow's nest offers incredible views of the coastline and a spot designed like a boat's prow to relax or curl up with a book or watch TV. 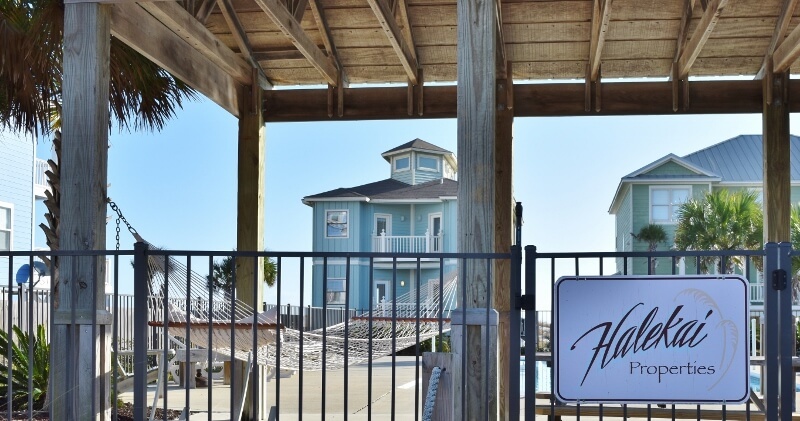 Halekai II is one of the few beachfront homes in Orange Beach, Alabama. It is one of very few beachfront homes with a Private Pool. And, it is WEDDING FRIENDLY! You can get married right on the beach with plenty of room for a beachfront tent for the reception, or set up your reception in the beautiful pool area. Please contact us for information about wedding fees. Wonderful. Everyone enjoyed from grandparents to grandchildren and grand dogs. 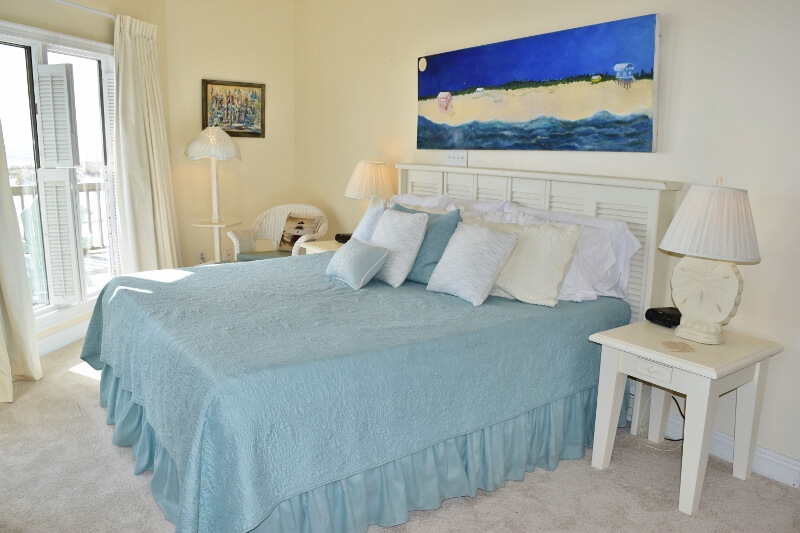 Another week of fun in our favorite house on the beach, Halekai II! We’ll be back next year! We loved being directly on the beach. The private pool was the most fun for the little ones in the afternoon.... we highly recommend this beach house and will return. 8 of us stayed comfortably in your rental. We all loved it! The location was great. The private pool was a big plus, especially with a toddler in the group. The carpeting in the master bedroom definitely needs to be replaced and the linens could use an upgrade. The family was able to spend some quality time together at the beach. The carpet has now been replaced! Woohoo! What an amazing week we spent at Halekai II - the best house by the sea! The house was perfect for our party of 9: four parents, four children and one lucky grandmother. We had plenty of room to gather and eat together and plenty of room to retreat to our own spaces as well. The house is clean and well maintained, the owner stopped by to say Hi and welcome us, the property management company answered all our questions. The views and walk to the beach can not be beat. The pool is amazing and was a wonderful retreat from the sand. We could not ask for more - and we plan to return next year! Having a pool and the beach just steps out the door is priceless! We had a 3- and 5-year-old in our party and the situation was invaluablele. HalekaiII is within easy driving distance of just about anywhere we wished to go. We really enjoyed our trip and our stay at Halekei II. The home was fabulous, it had everything we needed. The private pool was awesome. Maintenance came during our visit to fix a blind from previous visitor and while there fixed a shower faucet that we discovered was broken. Geoff responded quickly to questions during visit. The only suggestion is a board walk to the beach and the second floor air conditioning had difficulty keeping up. First floor was plenty cool but second floor a little too warm. Wonderful place for a family of 8. It does not sleep 12. Since we hit an algae bloom it was great to have the pool option. Something I never thought I would want. Great beach and close to many other things. Lovely home and great access to beach along with having it's own pool. The crow's nest area needs some repairs to make it safe for use. It would have been great for kids if boards were secured better. A little short on storage space but we worked around that. Really enjoyed our stay! Beautiful View. Great House the grill did not work and had not been cleaned. Upstairs bathroom door needs to be fixed. The room was really cold because the door is not sealed. We had a nice time at the Halekai II. We had 6 adults there during most of the trip and it was comfortable. Although it can sleep 12, I think that would have been too crowded. The pool is excellent! The mattresses were a bit uncomfortable and the house could use a little upgrading. The sectional in the living room was very comfy and the kitchen was well equipped. Again, the pool was great! We appreciate the feedback and will check the mattresses. Unfortunately there is not a mattress that everyone finds comfortable, some people like them firm, some like a pillowtop. We have not found one that makes everyone happy but if we find a problem we can replace it. Awesome family vacation spot. We were very fortunate to have awesome weather all week! The pool although not heated was plenty warm. The house could use a little TLC/updating, however we would definitely stay at this location again. Great house right on the beach!! Upstairs gets a little warm! We loved staying at Halekai II. The house had everything we needed! We enjoyed the beach as well as the pool. The owners were so nice and came to our rescue when a grandchild locked a closet door with all their mom's belongings in it! we had 10 adults and there was plenty of room for all of us. the pool was great. The house has everything you would need. we at one time had 20 people at the house. the dogs loved it. We had an awesome time in the beach house! 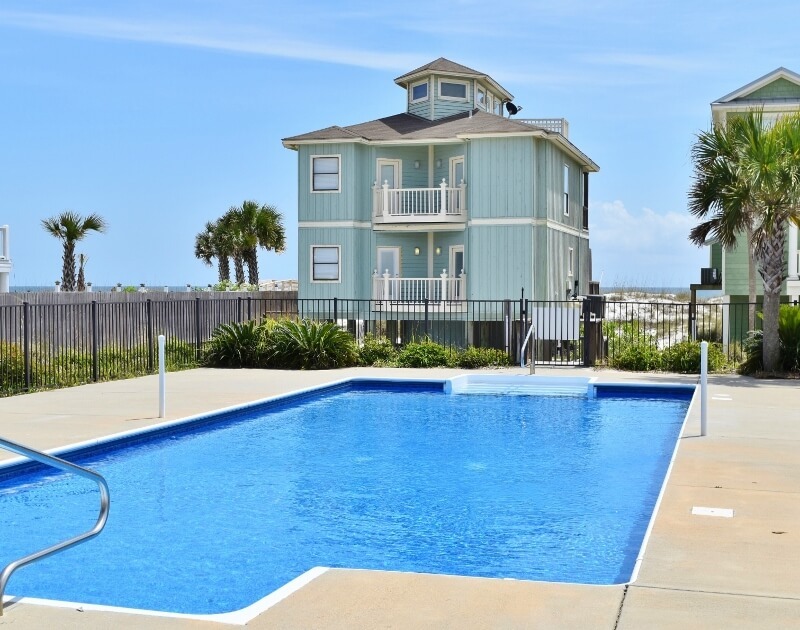 The house is beautiful with great beach access plus a beautiful pool! 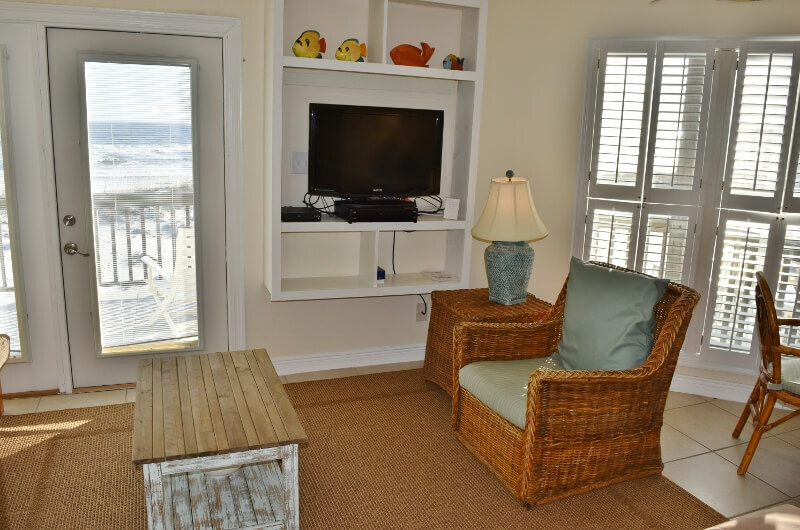 The house has everything you need for a turn key vacation! Great Location and lots of room!! Pictures do not adequately show the space this property has, especially in the crows nest. Having teenage girls, bathroom space is usually a problem for us but not this time! The windows and unobstructed view of the ocean, along with each bedroom having its own access to a balcony, madte this property one of my favorites. The house was spotless when we arrived also. Truth is, I could go on and on about what a great choice this property is. Everything has a downside, too, however, so I'll list a few of those as well...the couch in the main floor living room is horribly uncomfortable. It appears to be a sectional that's made for an outdoor living space, not indoors. The master bedroom did not have its own cable box. Whatever was being watched in the living was what we had to watch in the bedroom. This meant we had to go all the way in the living room to change the channel. Light switches are in the oddest places and oftentimes you have to go inside the room to turn the light on. For example, in the master the lightswitches were above the bed. That's great for convenience if you're in the bed, but horrible when you're entering a room you're unfamiliar with in the dark. There were fire ants on the pool patio and deck, which is to be expected for the location, but was anxiety provoking for me as our children and grandson kept getting bit. And finally, checkout procedures required we wash ALL towels, even those we used in the morning of departure. Failure to do so could result in being charged extra fees. I would expect more from a property with this high of a weekly price tag. Nonetheless, my complaints are small ones and don't compare to the tremendous positive qualities this property brings! The living room now has a GREAT sofa--you are going to love it! We rented Halekai II for a Thanksgiving holiday with our children and spouses and grandchildren. It worked out beautifully. The home was exactly as described. Check in and out was easy. Since we were having a traditional Thanksgiving feast we brought along various cooking equipment. To our surprise we actually did not need to bring most items - the kitchen is equipped with almost anything you could possibly need to cook. The best equipped kitchen of any home we have ever rented. The location is great - truly as close as you can get to being on the beach. Views are great for watching the sunrise and sunset. Thank you for sharing this home with us. We had a wonderful experience. Fantastic Beach House in Orange Beach! We spent an amazing week along with our adult children and 2 small grandchildren in Halekai II! We loved the close proximity to the beach..just steps to the gorgeous white sand and ocean, and having our own large private pool to cool off in was a huge bonus. The house was clean, with plenty of room for the 8 of us. We enjoyed cooking in most nights and it was well equipped with everything we needed. 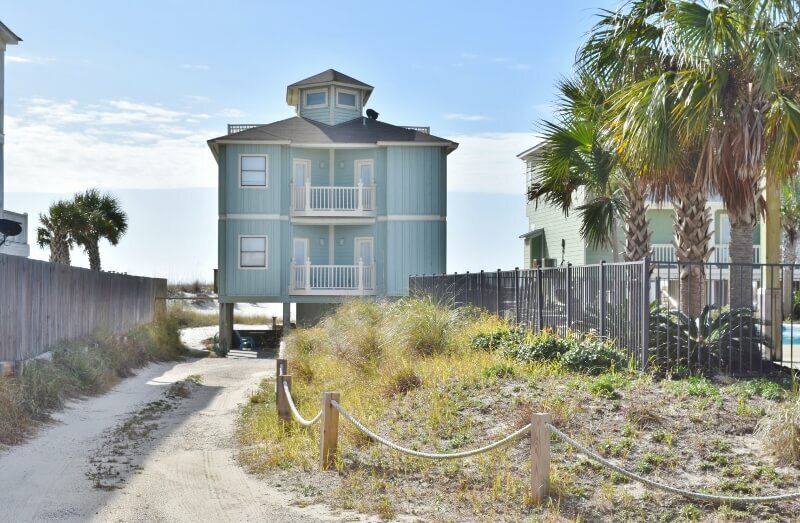 We would definitely recommend this house for a great beach vacation! The rental house was a great setup for our needs. We had 6 adults and 5 children, and oh, one small dog. We had plenty of space. There was a living area downstairs as well as a smaller one on the second floor which was nice for the kids to gather. TV's were everywhere, I think there was six. It was great to have our own pool, a very nice pool with a covered area to sit in the shade or lay in the hammock. The beach access was also very convenient and there was chairs and umbrellas for our use. It had great views with balconies out all the bedrooms and a wonderful crows nest up in the very top where two little girls slept and said they had their very own castle. Kitchen is well equipped. The sofa is a bit uncomfortable as mentioned by some other reviewers and the water pressure only allowed for one shower at a time, but these were small issues in the overall great house. I would definitely go back! You'll love the large and comfy new sofa! This was a wonderful home for a small beach wedding! The crow's nest was a perfect spot for our 3 grade school grandkids to relax and sleep, and the decks were in great shape to enjoy the ocean view. There were plenty of umbrellas and beach chairs and toys. Most of all, Susan at GSVR gets all the credit for finding this home for us. We can't thank you enough! Very enjoyable stay, really enjoyed the private pool!The only reason I gave our stay a 4 star instead of 5 was because of no working elevator. While we would love to have an elevator at Halekai II, like most homes here, it does not have an elevator! Please let us know if you do need a house with an elevator. We don't have any 4 bedroom homes with one, but there are larger homes in our area with elevators. Our son and daughter-in-law have looked for a place to spend Fall Break and they've found it in Halekai II. We are fortunate that they invite us (the grandparents!) and we love it just as much as they do. Lots of room, clean, comfortable beds, well equipped kitchen, wonderful pool/cabana, and two great porches overlooking the ocean. Perfect!! Wonderful property overall, only negative was flooding on ground floor during heavy rain, middle of the night. Would advise emergency contact number for renters. Pool and beach accessibility make it ideal for young children. You may have missed it on your confirmation, your arrival information and the text we sent to check on you but you have a cell phone number to be able to reach us at any time! There is even a sign in front of the house that has our phone number on it. Please call us if there is anything you need. Pool was wonderful! Ocean beautiful! Well stocked kitchen. Overall great week! Last year we found this lovely, single family vacation home that we all loved so decided to return again this June. This year by far expanded our fun and time together. Small issues were promptly addressed and fixed immediately. Having our own private pool made the trip worthwhile. Played some wicked volleyball games. Will definately return next year but will be looking for a larger rental to accommodate more family. Thanks for making our week away from reality awesome. This was our second year in the same house and the experience was wonderful. The house is perfect for our family and the entire family moved leisurely from the pool to the beach throughout the day. We loved being close to great restaurants like the Shipp's Harbour Grill and carry out food from Bubba's was close, easy and tasty. We were only a mile from Adventure Island and the grandchildren loved the put put golf. Great place for a large group . Well maintained with a fully stocked kitchen - perfect for cooking .Great location with the beach just over the dunes and a private pool. The home was very nice. Need extra outdoor lighting under porch and by the pool. Labor Day Holiday traffic in that area is horrific. We enjoyed our stay but will never go on a holiday weekend again. 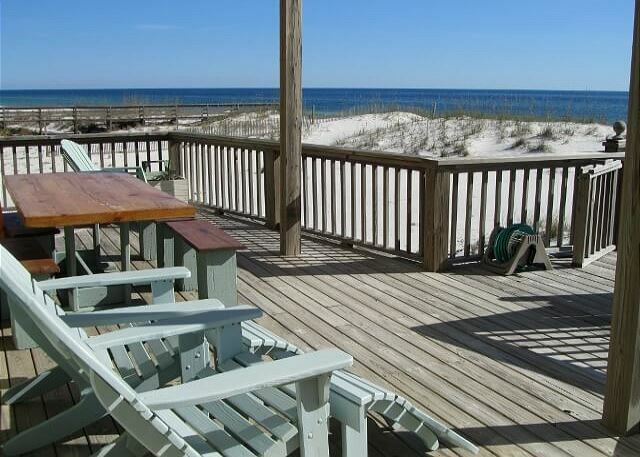 Haleki II located in Orange Beach, AL was a great hous right on the beach and was pet friendly. The house was perfect for our family and we loved being able to take our little Pug who loved the ocean. The house has a gated deck facing the ocean so you do not have to worry about your pet getting out without you. We had our own private pool to relax in when we came in from the beach. You have an additional den in case some want to watch sports and others their favorite TV shows or movies. Our favorite resturant was Cottons, great blackened lobster and great Bloody Marys. It was a wonderful week with no surprises. You can't beat this house - great location, plenty of room. Very clean and well maintained. We'll choose this house any time we return to the beach! We had a three generation vacation. We had plenty of room, and the house had lots of amenities. Lovely beach with white sands plus a wonderful pool. Near shops and restaurants. The owners were very helpful. They tended to two problems. We enjoyed the wonderful location. We were right on the beach and we enjoyed our private pool so much! The owners answered every question that we had. The owner even came and introduced himself and helped us with three issues. He even came back the night before we left, and wished us a safe trip home. We loved our vacation. Second year we've stayed there. We loved it so much last year, we couldn't wait to go again this year (May 31-June 7). We had 8 adults and 2 toddlers and had plenty of room. The house was clean, comfortable and had all the amenities we needed. 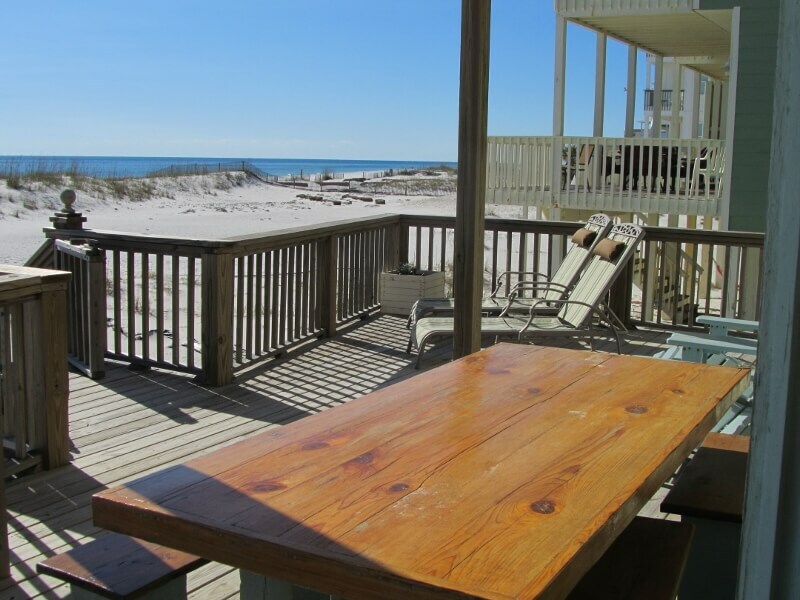 We loved spending time on the large deck overlooking the beach which was just a few steps away. We highly recommend Halekai II. Looking forward to going again next year. Having a private pool and being located on the beach made for a great vacation for our family of 8 adults and 4 grand children. We played on the beach in the mornings and played volleyball in the pool in the afternoons and evenings. A vacation we will all remember fondly for a long time. Great location for a family getaway. We had a maintenance issue during our stay and the management company immediately sent someone out. We will definitely stay here again. Was a Great home... love the saltwater private pool and so nice to be right on the beach! We had a 3 day stay Labor Day weekend. The house is everything we wanted it to be. It was a beautiful beach feel and perfect for our wedding of 30. Looks right at the ocean and accommodated our family well. We will definitely return. House needs just a few minor touch ups but nothing severe. Great cabin and perfect location right on the beach! We had a wonderful time during our stay at Halekai II May 30th - June 6th. The house was everything we could have asked for. The first part of the week my family was able to relax and enjoy the beach and private pool before the wedding festivities began on Thursday. The weather was perfect and our daughter's wedding was beautiful! We had approximately 150 guests for the wedding and everyone seemed to have had a wonderful time. We plan to stay here again in the near future. It was a perfect setting for a wedding. We actually saw a lot of people on their balconies near by who seemed to have enjoyed the wedding. I wished they had joined us! THE PLACE WAS VERY ACCOMADATING, AND THE OWNER REPLACED MICROWAVE AND REFRSIGERATOR WHILE WE WERE THERE, WITH NO FUSS OR DELAY.THE HOME IS WELL WORTH THE PRICE FOR A FAMILY VACATION, NO SHARKS, NO SEAWEED, AND NO JELLYFISH. Loved our vacation at the Halekai II beach home. We loved our vacation and the location of the property was perfect. We were a group of 4 couples and there was plenty of room for each of us. We are already talking about a return trip and would rent Halekai II again. Although we loved the house and location, the house could use some TLC, nothing so bad to prevent us from renting the property, but left as is could lead to larger issues. We did call the property manager for two small issues, TVs and pool. The TVs were fixed within a few hours of being called; however, the pool person did not come until the night before we left. Although, it was nothing major, the pool lights were out and we could only use the pool during the day. Overall, we had a wonderful time and are already planning a return trip. Great family vacation spot. Golf, zip lining, shopping nearby. Short drive to marina for gulf fishing (red snapper was delicious)and personal water craft. Pool onsite is beautiful. This was the most wonderful, very roomy house! It had beautiful views. Being right on an uncrowded beach with our own pool was perfect! It was PERFECT.! the house had everything we needed from dishes and towels to laundry detergent.! The house is in great condition with the exception of a few windows that we opened and had trouble closing but other than that NO COMPLAINTS AT ALL.! We had a beach wedding performed by Paradise Bech weddings directly on the beach followed by a tented reception directly in front of the pool with 50 guest.! Everything was lovely and we can't wait to return.! 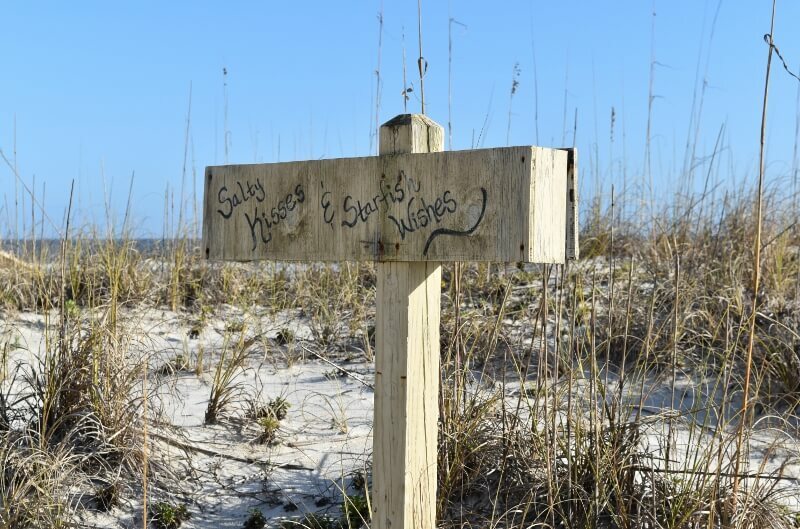 Orange beach will forever have a special place in our hearts.! We recently had a family get together for a seven day stay in Orange Beach. We had rented the Halekai II property. We found it perfect for the group of 10 we had and could have easily accommodated another 2 people if we had used the futons. The rooms were all nice sized and the 4 bathrooms made it great The view was great. We even saw dolphins swimming just off shore right in front of the property. I would definitely recommend the property and would definitely consider renting it again should the opportunity arise. This house was a great size for our family vacation (well 3 families plus an uncle). 3 couples, 2 children, and an uncle all fit comfortably. We could have slept a couple more, but the crow's nest is quite warm until the sun sets. Beautiful setting and the private pool is a great option when the surf is too high for the little ones or there are other beach warnings. There are 3 flights of stairs in this house, so please be aware with children or anyone with limited mobility. We gave the grandparents the main floor master, but they still needed one flight up from parking and a half down to the beach. Overall, it is a great rental! Well equipped with everything you should need for your stay. We will definitely consider staying again if we have a large group. Orange Beach - Vacation Fun! 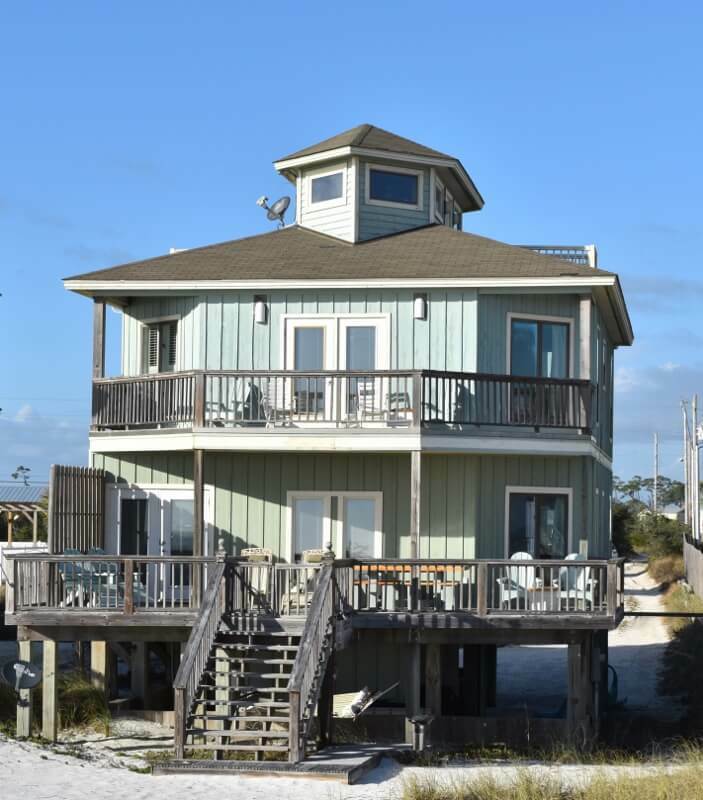 nice beach house to stay in while enjoying your stay in Orange Beach! I will definitely recommend the Halekai ll to all my family and friends?? The house more than met the needs of our family. Plenty of room and the access to the beach was just steps away. Stayed for a month and had a great time. The house was beautiful and well maintained. Our only problem was as older adults the furniture was not that comfortable. The upstairs had 2 futons and downstairs had wicker. The mattresses in the bedrooms were great. The kitchen was stocked with about everything you would want and newer washer and dryer. The old living room sofas have been banished! You'll be pleased with the new ones. Just returned from a wonderful week at Halekai ll with 7 adults and 3 small children. Plenty of room for everyone and we loved the outside spaces. Most of our time was spent at the large private pool and on the large decks overlooking the beach. We were content to spend most of our time at the house but there is plenty to do in the area. I've already rebooked the house for next year! Good location, good pool, clean dated house. Be aware of the unheard 10 am check out time. Perfect beach house for our family! The combination of the private pool and being directly on the beach was wonderful. The home was very welcoming and the entire family had a great time. 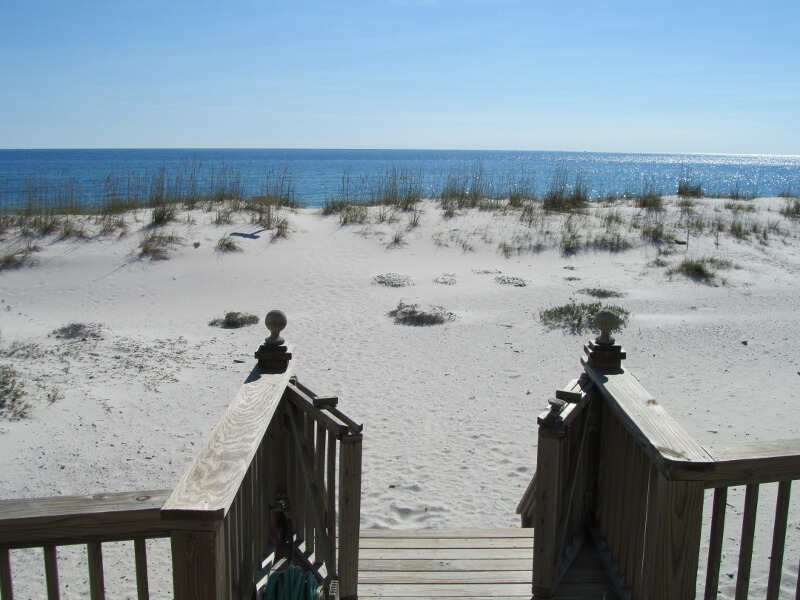 Great property to enjoy the beautiful Alabama coast. We stayed at Halekai II Aug 17-22 and absolutely loved the place! The home provided plenty of private room for our family (6 adults, 2 toddlers)& the kitchen, family rooms & bedrooms were clean & comfortable. The owners thought of everything to make our stay comfortable and relaxing including baby gates which were needed and greatly appreciated. If the weather is bad, they have TVs everywhere & the wifi was strong & fast. We spent lots of time on the large ocean-front porch & were grateful for a large picnic table & chairs for eating outside as well as enough lawn chairs to accommodate us. The house is about 160 steps (we counted them!) to the ocean and we felt like we had our own private beach. We also loved using the large private pool which was a nice change of pace for the little ones. We are already planning our vacation to Orange Beach next summer and can't wait to come back! Thanks to the Halekai II owners for helping make great vacation memories for our family! Great week at Orange Beach house on the beach. The Halekai II house was perfect for our family of 9 (with two babies). The kids loved the private pool and the easy access to the beach. We have stayed in condos in the past but everyone much preferred the beach house. We will definately stay here again on future visits.